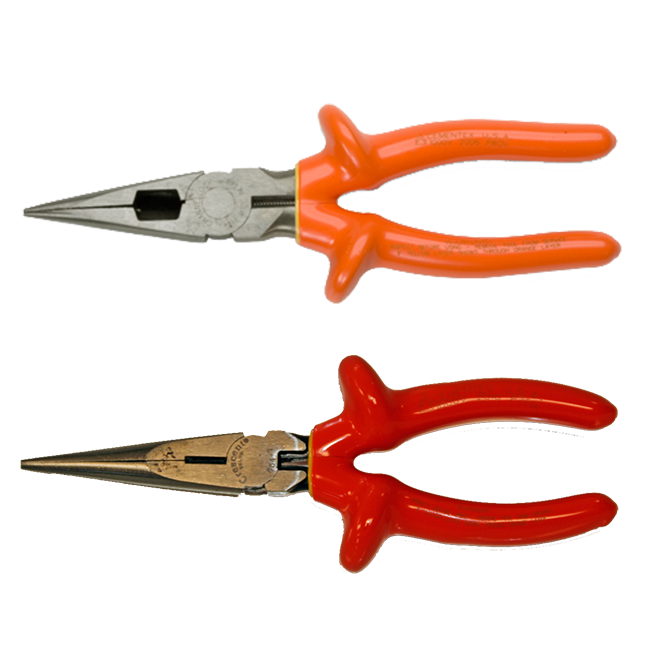 Needle Nose pliers are perfect for looping, cutting, and forming wire. Cross-hatching on jaws grabs work tightly. Cutting edges are induction hardened for long life. High-visibility, ergonomic comfort-grip handles have slip guards.